It’s finally that time again! When days get hotter, drinks get colder, beaches get crowded, backpacks are traded in for beach bags and college sweaters for some shorts and a tank top. That’s right, I’m talking about summer, and as a Cali girl my favorite part of summer is making the simple transition from beach to brunch. Normally I’d give you some go-to tips and tricks I use, but I thought it would be fun to switch things up and give the guys a little help. 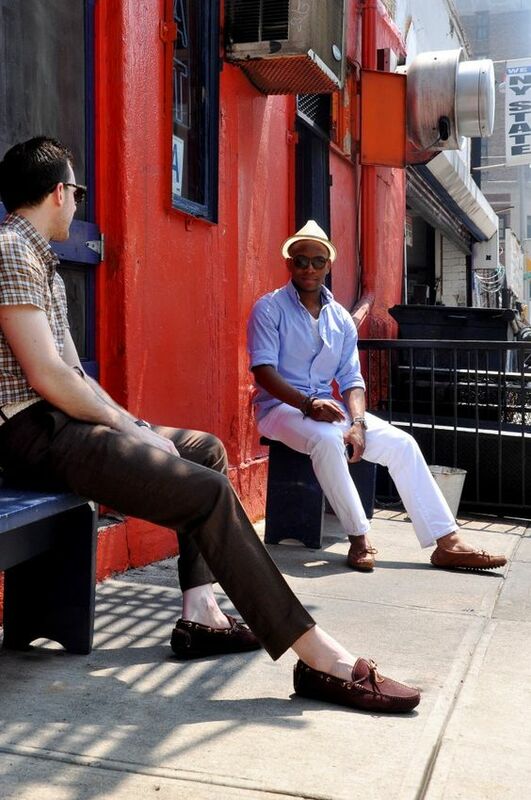 So, here’s a quick guide on how to help you fellas make the most of your summer wardrobe with a good pair of shoes and the right shirt. Since men’s fashion is obviously not my forte, I did some extra homework before starting this, so just bear with me. 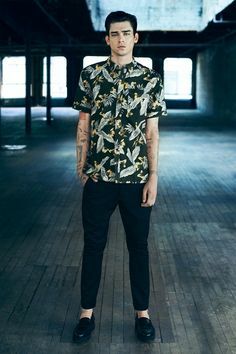 Whether you’re a band tee and sneakers kind of guy or a proud lover of Hawaiian shirts and Birkenstocks, keep scrolling and you might see some styles you’re up for trying. Ready guys? Let’s go! When I think of polos, the first thing that comes to mind is wearing them as a school uniform in either white or navy blue. 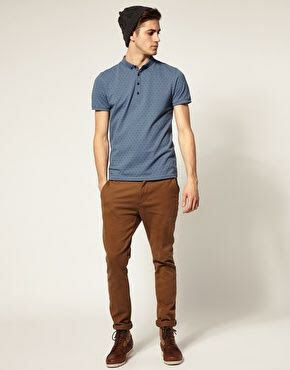 But, when fitted properly and paired with the right jeans and shoes, polos can be a staple piece for any guy. Like anything else, every brand has its own take on size and length, so the key here is to take the time and try different brands until you find one that fits you best. 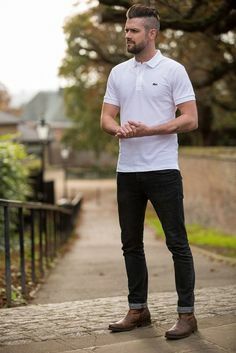 The best part about polos, is that they can easily be dressed up with some slacks and loafers or down with shorts and boat shoes; it’s entirely up to you. As temperatures start to rise, toss aside your favorite long sleeve and swap it out for a short or quarter sleeve shirt instead. Sleeveless beach tees are ideal for hot weather, but they might not be the best option for a day out or a casual lunch with the family. 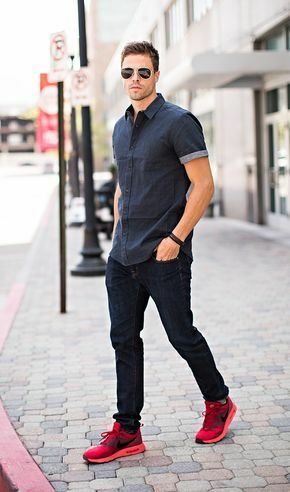 Which is why short sleeves are a great alternative; all you need is a button down, some jeans, and those white sneakers you bought last month, but were too nervous to take out in public. 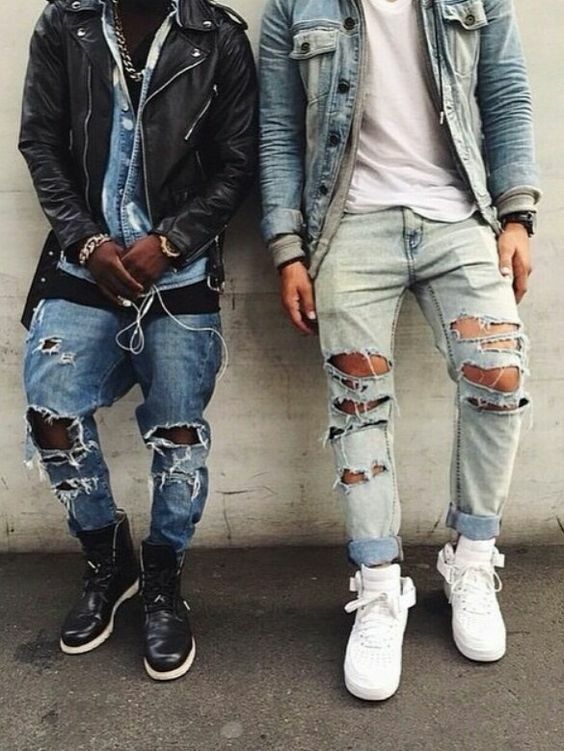 You can experiment with colors, prints, or keep it simple with some denim, and look good without stressing about overheating on those summer days. Yup! 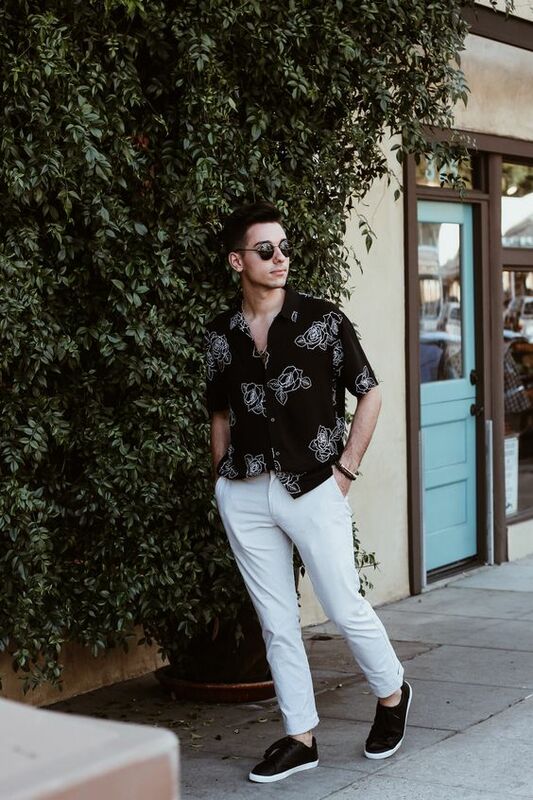 You read that right, Hawaiian shirts are officially back on the market regardless of the bad reputation they’ve had in the past. 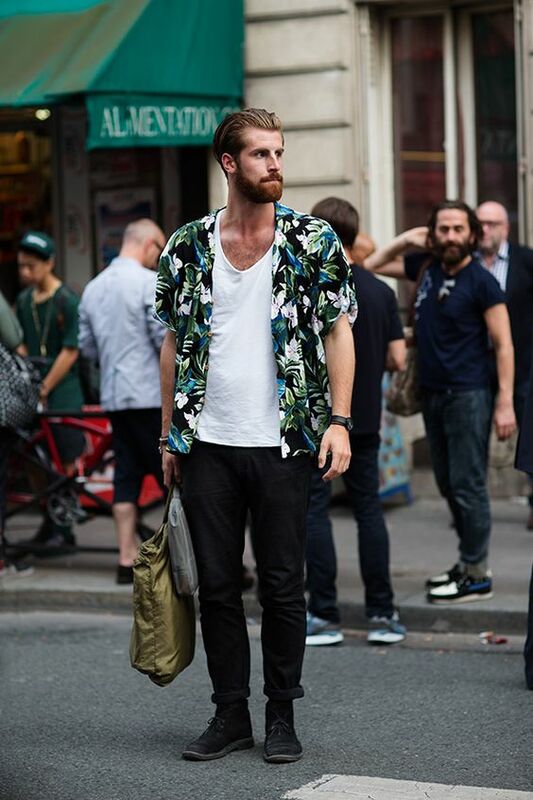 I know Hawaiian shirts used to be a “tourist” thing, but they’ve become pretty popular lately. Personally, I feel like every guy should have at least one in his closet. Not only are they made of cool and breathable material, but it’s an easy way to add some color to your look without feeling like you’re drawing attention to yourself. 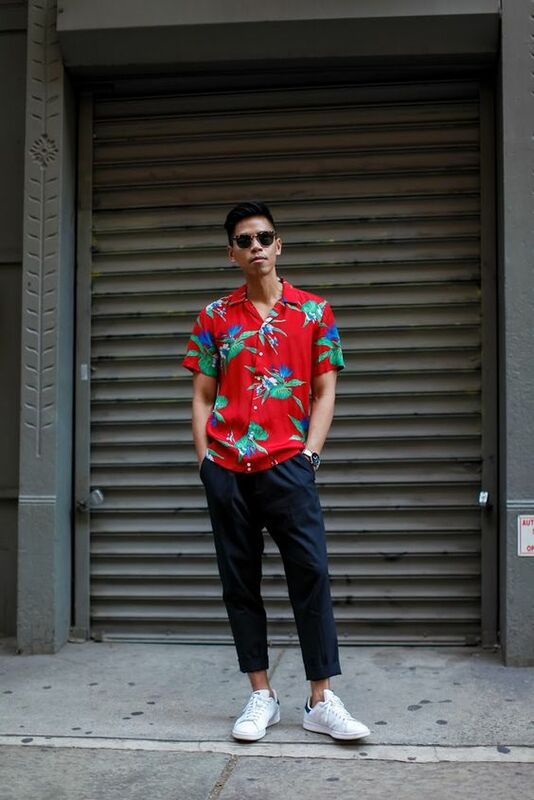 So, whether you’re headed to the beach, walking on the pier, or running errands, you can’t go wrong with a Hawaiian shirt. 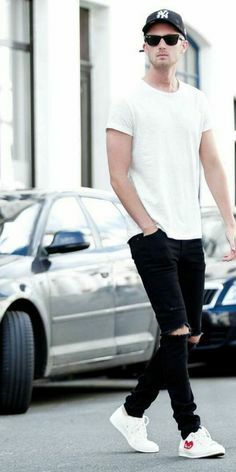 Sleeveless shirts are easily the most important part of any guys summer look. They’re perfect for a relaxing day at the beach, taking your beach cruiser around the pier, or meeting up with the guys for a quick gym session and a burger. Obviously, they are the best option for summer because they look good on everyone, keep you cool in the sun, and are great when you need to get out of the house fast. Other than the occasional tan, you can’t go wrong with these. 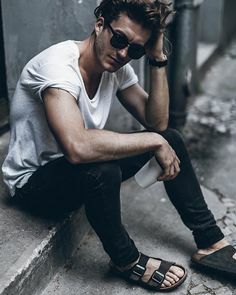 Beating the summer heat doesn’t mean sandals are your only option; don’t be afraid to venture out and experiment with different shoes. There are three must-haves when it comes to keeping your feet cool on those scorching summer days and covered up during breezy nights. Try leaving your flip flops at the beach, and keep some casual sandals by the door when you’re running out of the house. I know guys can collect sneakers just like girls buy heels, so feel free to add some color to your collection. If we’re talking brands, I have to mention my favorites, Chucks and Vans. Lastly, every guy needs at least one pair of moccasins or “driving mocs” in their shoe collection. What makes these perfect for summer, other than the fact that you don’t need socks, is how causal and comfortable they are (or so I’m told). While you probably shouldn’t wear them to a formal dinner or in the office, they’re definitely a good choice for any summer activity. 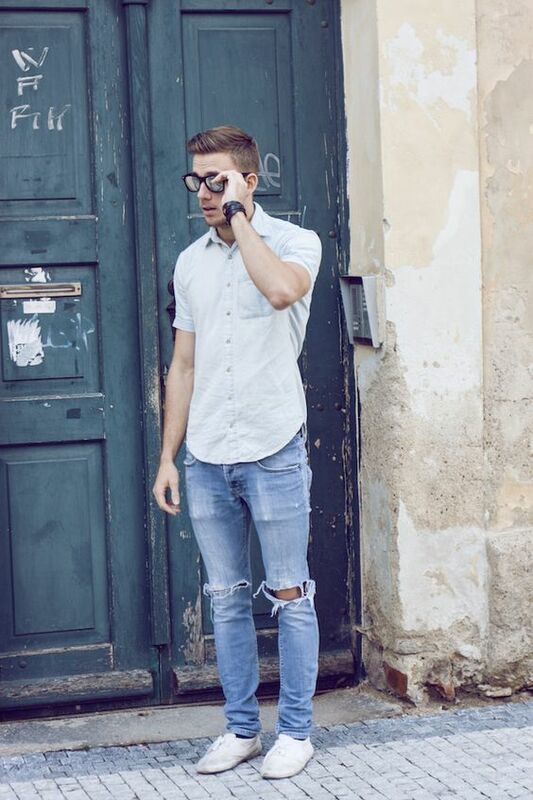 And there you have it, guys, a few style tips on some shirts and shoes that every guy should have in his closet for summer. Hopefully, something on this list caught your eye!